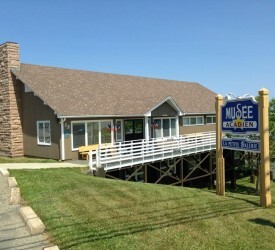 Located in the town of Caraquet, the Acadian Museum of Caraquet was founded in 1963. From its collection, other collections and the regional archives, the mission of the Acadien Museum of Caraquet is to study and create awareness of the history and the culture of the inhabitants of the Acadien Peninsula. Permanent exhibitions at the Acadian Museum of Caraquet includes “Traditional Acadian Fishing” as well as many temporary exhibitions about the history, heritage and culture of the people who have shaped this beautiful region. And more information can be found on their website.